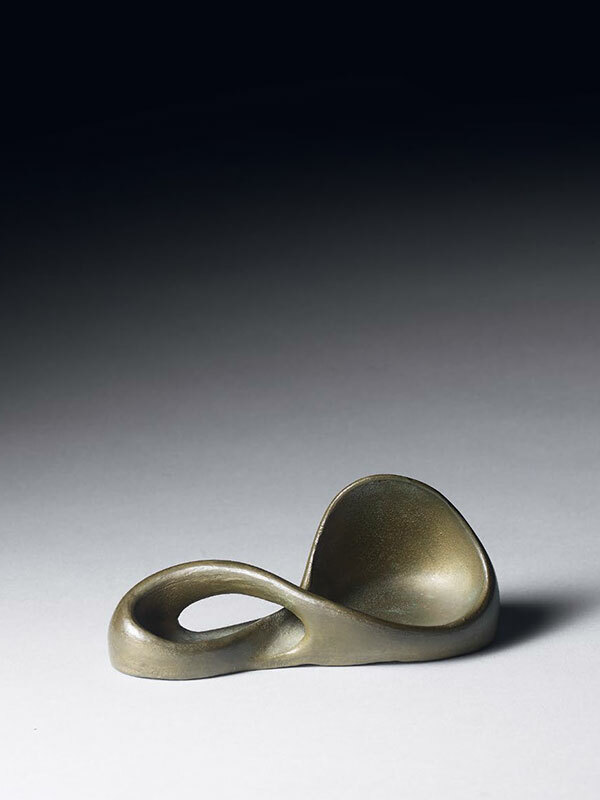 A small bronze sculpture of twisted, openwork form. The metal patinated a dark grey colour. 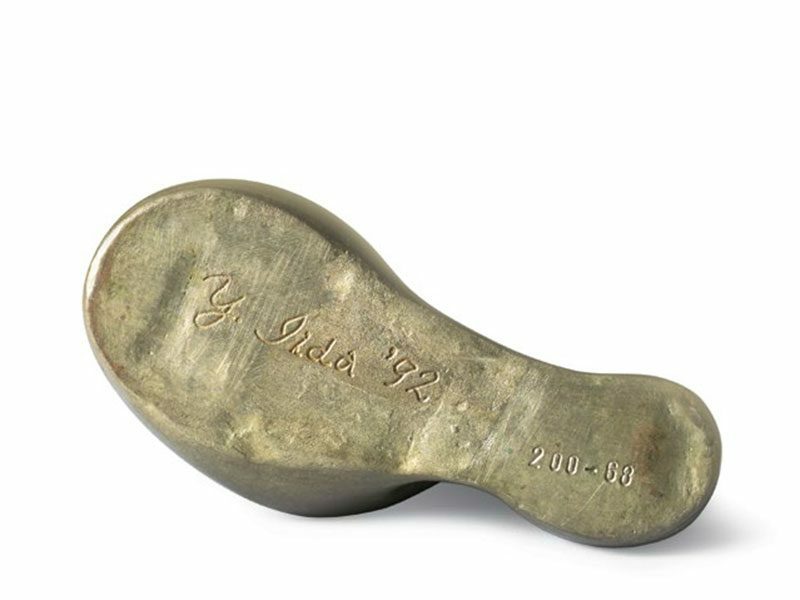 The flat base inscribed ‘Y. Jida ‘92’ and with the number 200 – 68. It is not clear whether or not this sculpture has a useful function or not, but it would certainly function as a weight to hold down papers and prevent them from being blown away.